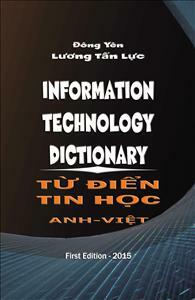 This English-Vietnamese Information Technology Dictionary covers more than 10,000 entries relating to the following main fields: Computer Science, IT Management, Application Development, Data Center, Learning Tools, Networking, Security, Storage and Data Management, among others. Each entry provide thorough explication in Vietnamese with examples, graphics and charts, when necessary. Often than not, unfamiliar Vietnamese technical terms go with their English counterparts in parentheses. To those with limited English skills yet have needs to be familiarized with terminologies in information technology, this work will surely prove useful in their quest for learning this new subject.